I am late getting into the Aveda line but I tried it for the first time several weeks ago and I enjoyed the results. I purchased the Aveda Damage Remedy Reconstructing Conditioner, mainly because it has certified organic quinoa protein and barley. Although the scent leaves much to be desired, I felt like my hair came out just a wee bit stronger. Each time I used the product either I imagined it or my hair really felt stronger. I performed the strand test to verify what I was feeling. You pull a strand of hair, (or just take a strand that is in your comb) and tug on the strand. If it breaks immediately this may be a sign that you hair is a little weak and it can use moisture. If you hair stretches and stretches and stretches, this may be a sign that you need protein to strengthen your hair. If your hair stretches a little before eventually breaking you may have a well balanced head of hair. Notice I use the word may when discussing the strand test because many other factors can come into play and have an impact on the strength of your hair. After using this product a few times I felt like my hair was harder to break but not so hard that it needed moisture. I will certainly buy this product again but I think it works best with continued use and I have too much of a product wondering eye to stay focused. If the scent pleased my nostrils I would stay put but since it doesn’t hit the spot, my search continues. Which conditioners strengthen your hair? Since I am getting ready to lay some heavy news on you, please be kind and save some for me so I can make my purchase when I return home...lol. Avon is again putting their nail strips (which I blogged about way back when) on sale. This time the price is a record low of $1.99. Th e only problem is that most of the great colors are gone. I will use this opportunity to get the French manicure nail strips and the strips for my toes which I have never purchased before. Here is the link ladies.... enjoy. I am already into buying all sorts of products, but if you couple a good product with great story, I'm sold. Do you know a company that can sell a product and tug at your heart strings all at once? Introducing the Ojon Restorative Treatment produced by Ojon. This product is 100% pure Ojon palm nut oil which is used for restoring luster, health and beauty to hair, especially damaged hair. You can use this product as a leave in treatment, deep conditioning treatment, or just rub it over your hair to get a little shine going on. When you get your restorative treatment you will see, as shown in the picture, that the product is hard but it melts so easily. You can run the oil between your hands but it will probably melt before you begin rubbing. I have used this product as a leave in treatment and I felt like it did make my hair softer. I would just be mindful of the amount used because it is an oil and using too much will just leave your hair a slick mess. The scent is not delightful, it almost smells like burning wood which is why I no longer use this product as a leave in treatment. I now use it as a deep conditioning pre shampoo treatment. Some people sleep with it on their hair overnight, but I just put it on my roots and the length of my hair for about 20-30 minutes. The results? I don’t know what it does, I use so many great products that I can not honestly attribute additional shine, health or bounce to the restorative treatment alone. However, I do see a difference when I use it on my dry hair so I would like to think that it is also doing something to my hair when I use it as a deep conditioning treatment. First you will see the Ojon founder, Denis Simioni, in pictures surrounded by the little children who live deep in the rainforest of Mosquitia. Some of his pictures make me think of those commercials "with just a dollar a day you can save this child", so already the little faces draw you in. Next I learned that they have been using this Ojon palm nut oil on their hair for many years and now I can use it in the comformt of my own home. Ok here is the kicker a special contract has been developed only allowing the Ojon company to use the Ojon palm nut which only grows in that region of the world. The indigenous people are employees of Ojon and they are used to harvest the palm nuts which gives them steady employment. Scholarships are also given out to the people so that they can continue their education. When I first learned all of this I was thinking- I get to have great hair, use products that are exclusive to this line and send a kid to school.....I was sold! You can purchase the small jar (1.35 ounces) for $21 or the large jar (5 ounces) for $55. What is your favorite hair treatment? What do you want out of your shampoo? You should want a product that will clean your hair but not strip it clean, leaving it dry and brittle. You want a shampoo that will help your hair to retain some moisture. 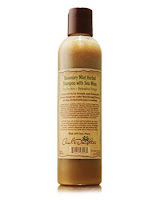 Carols Daughter has introduced the world to the Rosemary Mint Shampoo with Sea Moss. Coconut, peppermint and rosemary oils are included in this shampoo along with organic aloe vera water and floral extracts. The best part is that you will not find parabens in this product, it is not a 100% natural product but it comes pretty close. This tingly shampoo does have a strong minty scent but the smell is almost gone when your hair is dry. When I dried my hair I did see the slightest shine, could it have been the shampoo or the new conditioner that I tried? When I use them separately I will know for a certainty but at the very least my hair felt clean and soft so I was pleased. $12.50 will get you an 8 oz bottle. Which shampoo would you like to try next? Once a young couple learned that the grape seeds they had discarded from their vineyard could serve a purpose, they were determined to see what products could be produced. The Caudalie line was born, giving us an opportunity to own products that are comprised of antioxidants and natural oils. 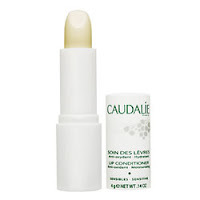 Although the Caudalie Lip Conditioner pictured above has mineral oil as its base, it also contains grape seed extract, fruits, and caster oil. This lip treatment may not give you as much shine as other products on the market, but it really makes you feel like your lips are being coated with a good moisturizing treatment. If you lick your lips you will get a bit of a waxy taste but more than that you will have a delightfully sweet taste. As you can see, the packaging may not be the cutest but this product is worth your money. 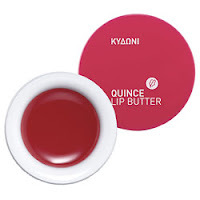 $12 is all it will cost to get this lip treatment from the store counters to your favorite purse. Some have wondered if I have products that I enjoy that can be found at local drugstores, and the answer is YES. I think my favorite drugstore body wash is Tahitian Renewal by Caress. You have tiny pomegranate seeds to gently exfoliate your skin, and palm mik to make your skin silky smooth. The scent is very tropical, it is just wonderful, delicious even! You will look forward to pampering yourself with this product daily. 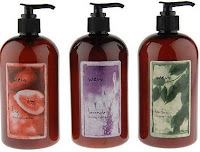 What is your favorite drugstore body wash? There are so many companies that have similar products, so don't you ever wish you knew before your purchase which product you should buy? I purchased Shinylicious lipgloss by Maybelline and Wetslicks Fruit Spritzers by Covergirl. Both promise to give you endless shine, so let's look at what each product offers. Undeniably both products will make your lips glisten. Both glosses are smooth and glide on effortlessly. When I went to apply some of the Maybelline gloss, I actually had to get a tissue to wipe off all of the petroleum that was dispensed before any color actually left the tube. This did not happen once or twice it happens almost every time I attempt to use this product. On the other hand Covergirl Wetslicks pumps out color each time you squeeze the tube (you may get a very tiny amount of petroleum oozing out but no where near what Shinylicious pumps out). Maybelline offers Shinylicious is 18 colors, while Wetslicks is only available in 12 colors. 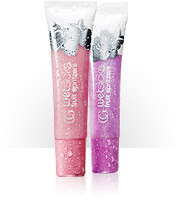 Winner - Wetslicks Fruit Spritzers by Covergirl priced around $5.50. I have never sniffed a flower and walked away saying, that flower smelled pretty good- I mean never, I'm just not the flowers kind of gal I suppose. While I acknowledge the beauty that they possess, flowers just don’t do it for me, which is why I am surprised that I purchased a facial mask because it included rose petals. I bought the $55 Rose Facial Mask by Fresh which includes crushed rose petals, 50% pure rose floral water, caster oil, fruit extracts, cucumber and other ingredients. This mask is supposed to tighten your pores and rejuvenate your skin. I did not see a difference in my pores but my skin did have a tighter pulled together look (not sure if that is a good thing). 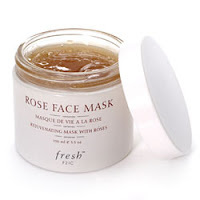 I was constantly offended by the floral scent so I would not buy this mask again, yet I do not feel it is worthy of the skip it files because it has a nice consistency and it can add a little softness to your skin. Which masks have you tried and hated? Have you ever noticed that pimples seem to surface at the most inconvenient time? 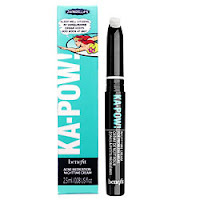 If you are looking for a pimple treatment, you may want to try Ka-Pow! by Benefit Cosmetics. This creamy 2% salicylic acid, pimple fighting formula, is contained in a slender tube that is dispensed as you twist the middle nozzle. I can not stress this enough, only put this treatment on the pimple not your surrounding skin. This product is supposed to be used when you are getting ready for bed and the next day you will awaken to "clearer skin" as the company claims. If you have Mt. Everest on your face, it will still be there the next morning just a slightly smaller version. If you are looking to get rid of your blemish by the next morning, this is not the product for you, but if you are merely looking for a reduction each morning then give this a try. I hate to sound like a broken record but I would recommend trying one of the regimens from Dr. Susan Taylor's line Rx for Brown Skin(click the link to see my post on this product). Ka-Pow will cost you $20 for .08 oz. What do you use to fight blemishes? Have you ever had one of those mornings where things were just not going your way? Well I had one of those mornings a few months ago and I was thinking about how disastrous I thought my day was going to turn out. Mentally I was cycling through all of the appointments that I had that day and my never ending "to do" list, and then he appeared. A gentleman passed by and then he turned back and in the most sincere and respectful way he said "you look beautiful". I thanked him and suddenly I was not as antsy about my day. In an odd way it helped me to appreciate that I was feeling good, looking good (smile) and enjoying my happy life, so there was no need to stress over relatively minor issues. Now never mind the fact that he appeared to be a drunkard...lol, but his sincere comment helped me to regain my focus. So today say something nice to someone, and remember to focus on all of the good things going on in your life. When you are cleaning the wooden surfaces in your home do you enjoy the smell of lemon scented Pledge? Now you can enjoy that scent out in the open when you apply the Bliss High Intensity hand cream with macadamia oil and grape seed extract. Ok Ok maybe the scent is not identical to the scent of Pledge but it is close. Personally I enjoy the scent and you too can smell lemony fresh for $8 or $18.00 (depending on the size you purchase). I purchased the $8.00 tube because I wanted a tiny product that I could tote around in my purse, instead of the huge vats of lotion I usually pull out of my bag. My hands are moisturized but the glow leaves after about 20 minutes which isn't so bad for 8 bucks. Which hand cream is in your purse? Pictured above is a lightly tinted, Korres Natural lip butter. 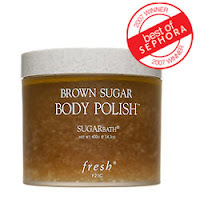 It is free of mineral oil and silicone and infused with rice wax and Shea butter. Available in Guava, Pomegranate, Quince and Wild Rose these lip butters will undoubtedly leave your lips feeling moisturized. It is one of the many natural products produced by the Korres company. The only downside is that I would prefer this lip treatment in tube form as opposed to this .21 oz jar which requires you to use your finger. Even though it is tasteless, this product is worth every cent of the $9.oo price tag. Earlier this week I strolled into the Body Shop where I was greeted by an enthusiastic sales associate. I was already perusing the hair section, so she quickly began talking to me about their hair products and asked her colleague to provide me with a sample of a hair repair mask. 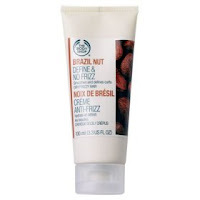 I decided to purchase the Brazil Nut Define & No Frizz treatment. It is designed to smooth and define curls. This treatment contains many oils including ginseng extract and rice oil and avocado oil just to name a few. The Brazil Nut treatment can be applied to dry or wet hair and it is designed to protect your hair during a heat process. I really do not use heat on my hair unless I am deep conditioning but I did use this product as a moisturizer since it is a water based product. One night I applied the treatment then rolled my hair and the next day my hair was curled and soft but so was the rest of my hair (including areas where I did not apply this product). I also though my hair looked dry in the spots where I used this product but it did feel soft. I applied my staple (Jane Carter hair nourishing cream on the rest of my hair and those areas were shiny soft and bouncy). Hey I can't complain because this product was $10 so I didn’t break the bank and to be honest maybe it would work better as simply a heat protectant. I must say that it is very light and absorbs well into the hair. I won't throw this product into the skip it files mainly because all it really lacked was leaving my hair shiny but I can achieve that by applying an oil and it never claimed to make your hair shiny. My final verdict is that the price is certainly right but it is just an ok product. This 3.3 oz will cost you $10.00. So you already know I couldn't leave with just one product right? Pictured on the left is the Amlika Leave in Conditioner. The label states that it will provide "intense moisturization with amlika berry extract to add shine". I didn't really care for the ingredients list but I decided to give it a try because it was also a very light treatment...and it was inexpensive. This treatment is supposed to be applied to wet hair so I wet my hair and applied the product. The next morning I did see a shine, not a remarkable shine but the level of shine you might expect from this $8.00 product, and my hair felt pretty good. I would be remiss if I didn’t mention that it is also supposed to reduce breakage and split ends. On a slightly negative note, I didn’t like that the ingredients list consisted of fragrance, lactic acid and other ingredients that I had to look up to understand. I always like it when a product is comprised of mainly natural ingredients. All in all, The Body Shop hair products did not leave me with a hair catastrophe. I had a little extra time on my hands yesterday, so I decided to take a peek in a local Bath and Body Works store. I wanted to pick up some body washes from the company %100 Pure, only to learn that the majority of Bath and Body Works flagship stores are no longer carrying the line. Apparently the stores are experiencing overcrowding and they need to get rid of a few lines, unfortunately %100 Pure is one of those lines. I just thought I should let you all know. Can you imagine keeping your lips and hands hydrated for 9 full hours? That is the promise given by the Sephora brand Face Repair Balm. You know by now that I always look at the ingredients, so I have to tell you that this product contains sweet almond oil, karite oil, shea butter, and vitamin E. I was impressed with the ingredients line up so I was thrilled to try this balm. For my readers that have scent issues you will probably not appreciate the smell. It isn't the worst smell in the world, but it smells more like medication than something you would want to openly dispense and apply in public. To get an idea of the smell, think a mild form of bengay. I wash my hands so frequently that I can not vouch for the 9 hour hydration promise but I do know that it has left my hands feeling soft and moisturized. The product looks like peanut butter but the consistency is a little smoother- just in case you need that type of information. Priced at $18 you too can have soft hands and lips and smell like bengay!!!! 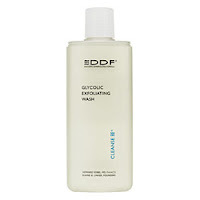 I was so happy when I first purchased DDF (Doctors Dermatologic Formula) Glycolic Exfoliating Wash. This product is described as a 7% glycolic acid wash cleanser that will smooth out your skin and prevent breakouts. Let me preface this little story by telling you that I am an idiot, now that we have that out of the way….. I purchased this acidic cleanser in an attempt to remove any dead skin cells and to banish any blemish that even thought about taking up residence on my face. Regarding this $32.00 facial cleanser I say "SKIP IT". Which facial cleansers put your face through the ringer???? Have you ever spoken to a person whose lips were so dry that you couldn’t concentrate on what they were saying to you? You stood there hoping they would either lick there lips or apply some lip treatment. I don’t want to be that person, not today, not tomorrow , not ever, so proper lip care is essential. I purchased the Juicy Beauty SPF 15 Tinted Lip Moisturizer trio. The names of the lip balms (joyful, playful and delightful) give you no indication of the color of the tinted balm, but the label around each tube is very close to the actual color. I can not neglect to mention that this product contains certified organic plant oils. Unlike other lip balms it looks bumpy, like little grains of sand are embedded in the balm. However when applying the moisturizer you do not feel any discomfort on your lips. The taste is awful but your lips will feel moisturized. Priced at $15 this cute trio is available at Sephora or wherever Juice beauty products are sold. We pump hundreds no no probably thousands of dollars into our local beauty supply stores each weak and I think some of them have been holding out on us. A few posts back I told you about my hair care specialist, the nameless man who works in a beauty supply store that I frequent. Well one day he asked me to wait before leaving the store, and when he returned he slipped a ton of samples into my bag. He wanted me to try out a variety of products by this company called Hydroveil (my review is coming soon). Did you have any idea that these beauty supply stores receive free samples? It makes sense though right? Of course companies when shipping products will throw in free samples to say thanks, or just to whet the appetite of customers but I ask have YOU received your free samples? I mean dang at least offer me something when you see that I spend my hard earned cash in your store weeks on end. What can the store owners do, eat the samples? I mean really don't be greedy share your spoils with the public aka your customers. Ladies have you ever had your eye on a particular product but you were not ready to actually make the purchase? Instead of using your money only to discover that the product is a dud, find out if your bss has any free samples ---I know I will. While many women enjoy shopping for perfumes or receiving it as gifts I cringe because they all seem too strong for me. It is as if I can smell the alcohol in the perfumes and it makes me gag. With that said, the Lavender cleansing conditioner almost made me pass out when I screwed off the pump --it is strong! However my hair looked amazing and after your hair dries you really can't smell the scent anymore. I never thought the day would come when the scent of fig would be my favorite because I almost vomited when I smelled the vanilla and fig body wash from bath and body works. Though I have not given up on Phyto and my other hair babies like Ojon, Wen is definitely a winner in my book. The scent may be repulsive but my hair looks perfect so I have achieved stinky hair perfection. Oh and I have been using Wen on my dry ends before rolling my hair and ladies all I have to say is please try to find a split end on my head...you will be searching for hours. When I began my hair journey I was looking for a leave in conditioner that would moisturize my tresses and I found Creme of Natures Lemongrass and Rosemary Leave in Creme Conditioner. I am always a sucker for the inclusion of rosemary in any hair product and the addition of lemongrass was an added treat. Lemongrass is often credited with giving hair a beautiful shine. Having these two special ingredients in one product got me so excited and I had really high expectations. The consistency of this product is a little thicker than milk so it glides on easily. 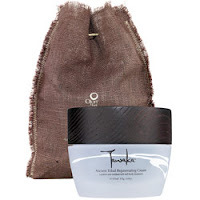 It is also one of several products from Creme of Nature that consists of certified organic ingredients. The Lemongrass and Rosemary leave in is specially formulated for dehydrated hair. I used this leave for months and I think it is a pretty good product but using it daily was not an option for me because it would weigh down my hair. Does it detangle - yes, but if you are an "air dry girl" like I am, you may find that your hair will feel crunchy after leaving this product on your hair. I have a few more bottles left at my home and they will remain in my reserve tank in case I run out of my staples and I need backup. Oh and I can't forget to mention that the smell gets 4 out of 5 stars. You can get this leave in conditioner for roughly $5.99 at your local beauty supply store. If you have tried this leave in, please share your experience. As you can see from the previous post I liked the Sephora brand lip liner so I wanted to see what other gems were hiding behind the Sephora brand name. Today I purchased the Sephora maniac lip liner in 07 choco schizo. This particular liner features a lip brush at the opposite end of the liner which can be used to blend the liner on your lips. Priced at $6 this liner is available at Sephora. 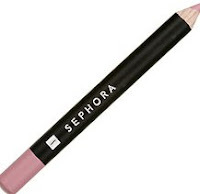 I like this product but I can certainly use a lip liner that is much darker color...any suggestions? So there I was walking up and down the makeup aisles in Sephora in search of the ultimate dark chocolate lip liner. Surprisingly the consultant took me over to the Sephora brand counter and presented me with Mud Brown #111, which is not their darkest chocolate but it was the darkest one they had in stock. Generally I am not the woman who purchases the store brand, I go for a name that I trust and I try to look for the best quality. I was surprised with both the price and quality of the lip liner. Yes, it was a much shorter lip liner than I am used to and it did not come with a sharpener but it glided across my lips and it cost $4.00, so I couldn't ask for much more. Which store brands deliver quality at the right price? When you are ready to move away from the run of the mill eyeliners, you should check out the LORAC Glitter Eyeliner. Mixed in with your standard eyeliner you have tiny sparkles that give your eyes an extra pop! This product should be used lightly because too many swipes of this eyeliner will cause you to look like a glitter stick exploded on your eye lids. I have the shade midnight sparkle, but this eyeliner is available in a variety of shades through Sephora for $16. Which eyeliner do you use to turn up the volume? If you take a multivitamin you may notice that a percentage of that tablet is devoted to biotin. Biotin is otherwise known as vitamin B7 or vitamin H, it is a part of the B-complex family. It is also instrumental in promoting the health of sweat glands, nerve tissue, hair and nails. Biotin is often found in hair products that are designed to promote growth and combat thinning hair. I do not have thinning hair but any product that can promote hair growth is worth a try. 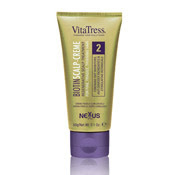 I looked for products that contain biotin and I finally came across the Nexxus Vitatress Biotin Scalp Creme. This product claims to promote healthy hair growth and to restore thinning hair. You are supposed to use this product twice a day everyday to actually see results. I used this product in one area just to test the product, I was a bit skeptical at first and I feared it would make all of my hair fall out so I kept it contained in a small area of my head. As you rub the product on your scalp you will have to do a pretty good job of rubbing it in otherwise it will dry on your hair and flake. Once applied to your scalp you will experience a cool tingly feeling which is probably caused by the menthol. I am sorry to say that my final result is somewhat inconclusive because I want to continue testing this product. I feel like my new growth was stronger, much firmer than usual, the new growth was really pronounced. Did I get more new growth that usual? I think so but I did not take measurements so I can't be sure. Even if I did receive more new growth than usual it was not so much more new growth that it was obvious. I should also note that I used this product for only 3 weeks. Currently I am not using the product because I want to keep in my mind the type to growth that I get without the product, then I will begin using the product again after my next touch up. If you have tried this product please let me know about your experience.